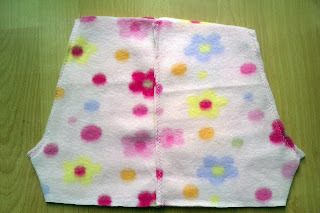 I'm trying to use up all of my fleece so I may be doing a good few fleece tutorials over the next few weeks! I decided to make this little pair of shorts for Naomie. 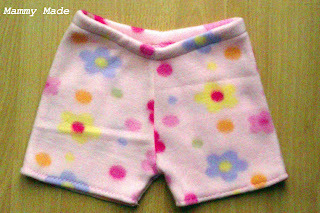 I figured they'd be good just as shorts or with tights but they'd also be good for over her cloth nappies because fleece is waterproof! To make them, all you have to do is take a pair of trousers/shorts that you like the fit of, I used pyjama bottoms because I didn't have any shorts and because they aren't too tight. Draw around them then cut off where you want the legs to end (if you used trousers instead of shorts). 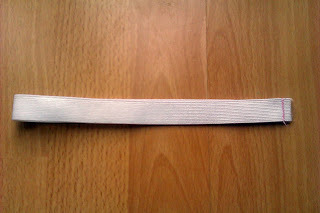 Then add a 1/4" allowance all the way round and a 1" extra on the waistband for the elastic. I used 3/4" elastic which fits nicely inside a 1" waistband but if your elastic is thinner/wider adjust the waistband accordingly. When you have your front and back pieces cut out, you should notice that they are just slightly different. See how the back waistband is an inch or so higher than the front. That's to account for the baby's bum and nappy. If you're using cloth nappies like I am then you'll want to make sure you have the rise high enough to go over the nappy. 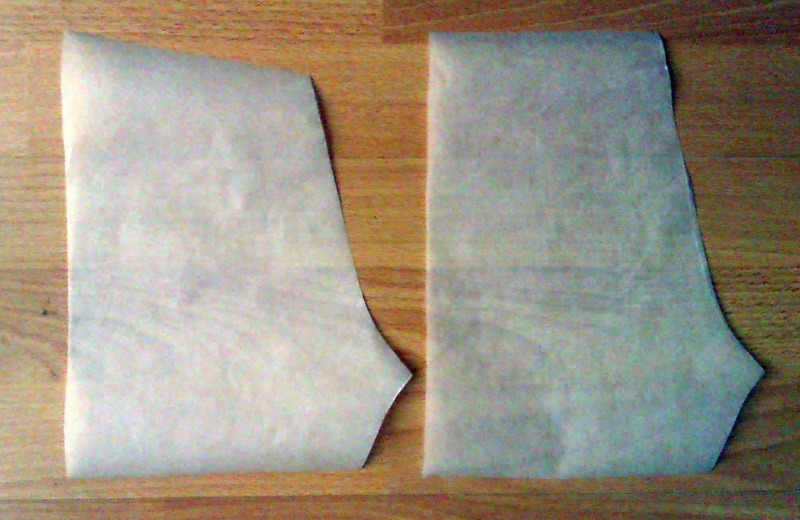 Lay some fleece, folded in half so you cut two identical (but reversed) pieces at once. Lay your pattern pieces on top and pin them down, making sure the stretch on the fleece is going from side to side not up and down. With right sides together, pin and stitch one back piece to one front piece along the side seam. 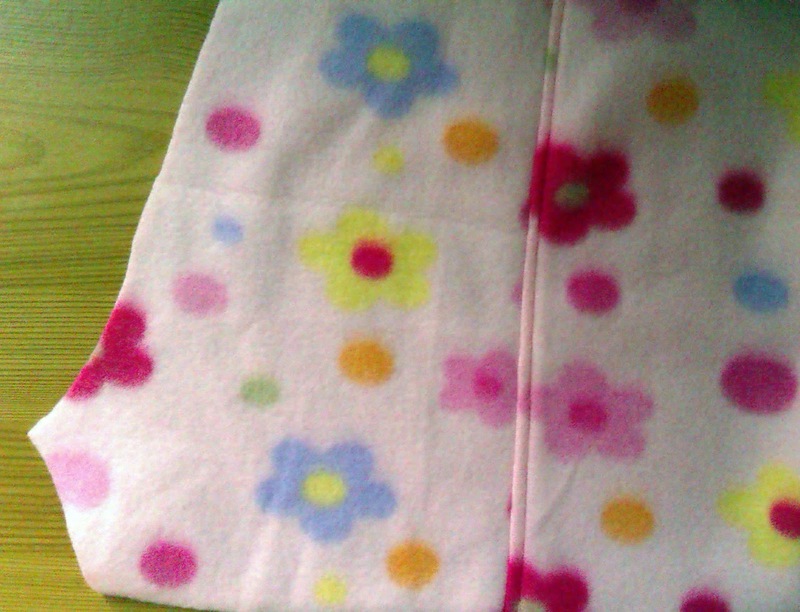 I used a straight stitch then a zigzag stitch right next to it in the seam allowance. Turn your material over so the right side is facing up. 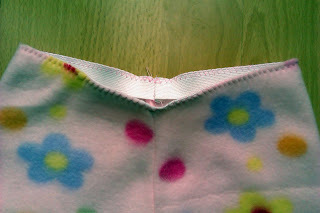 Fold the seam allowance towards the back and top stitch it down on the right side of your shorts. Repeat with the other two pieces. 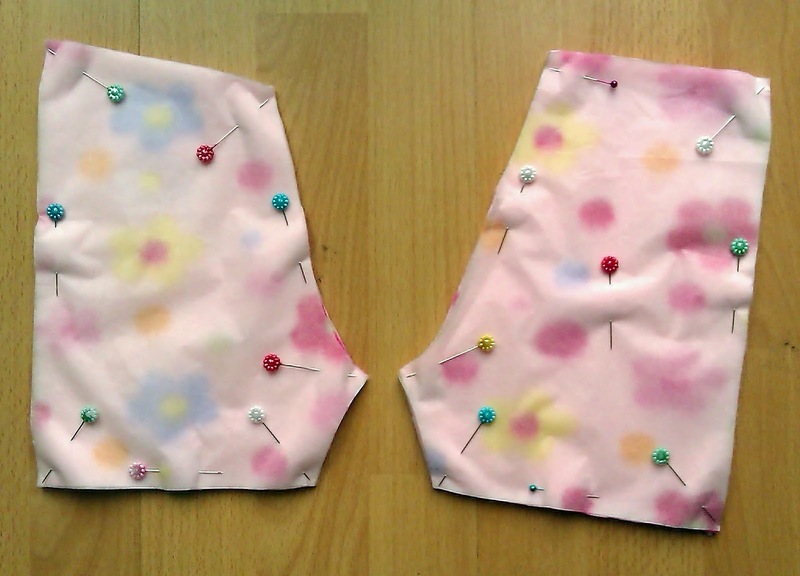 With right sides together, pin and sew together the two front pieces along the waistband to crotch curve. Again I used a straight stitch then a zigzag. I didn't topstitch the seam allowance on the front or back because it would have looked uneven and I know it would have bugged me. Repeat with the two back pieces. Open the shorts out. Pin and sew the legs, reinforcing at the crotch. Fold up 1/4" at each leg and stitch it down. I used a zigzag to allow for stretch. Cut elastic to whatever waist size you need. 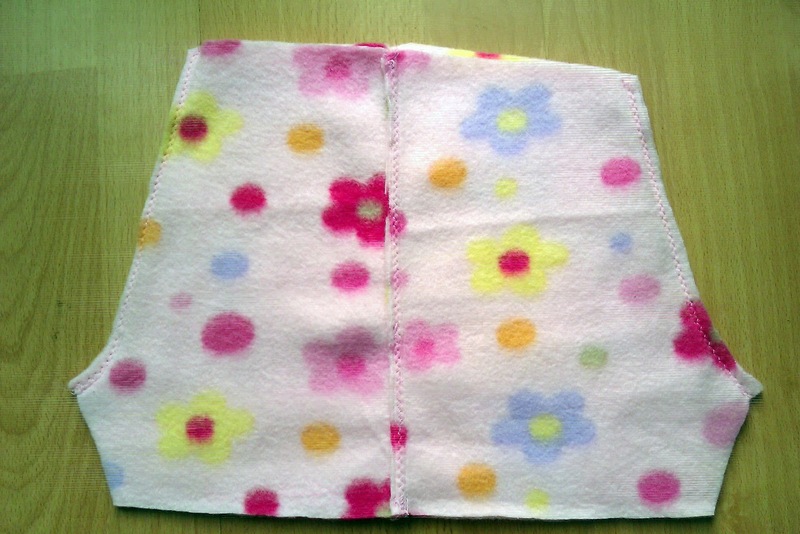 I used 18" for Naomie who has just gone into age 6-9months. Stitch the two ends of elastic together to make a tube. Find the 4 quarters on the elastic tube and mark each with a pin. Line up the seam on the elastic tube and the back seam of the shorts and pin. Pin the other 3 marked points to the shorts. Stitch all around the raw edge with a wide, long zigzag, pulling slightly on the elastic to stretch it to the same size as the fleece. Put one side of the zigzag on the fabric and the other side off the edge to overlock it. 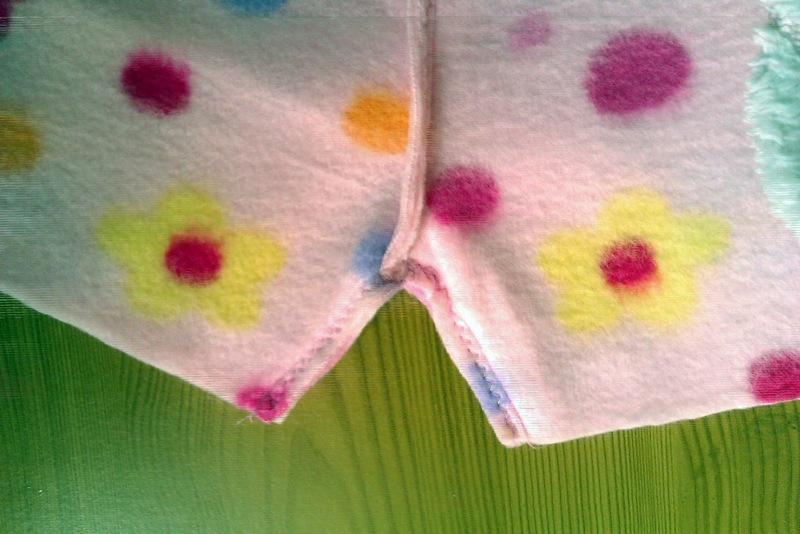 Fold the waistband over so the elastic is hidden on the inside. Stitch over the zigzag with a straight stitch, making sure to pull slightly to allow for stretch. 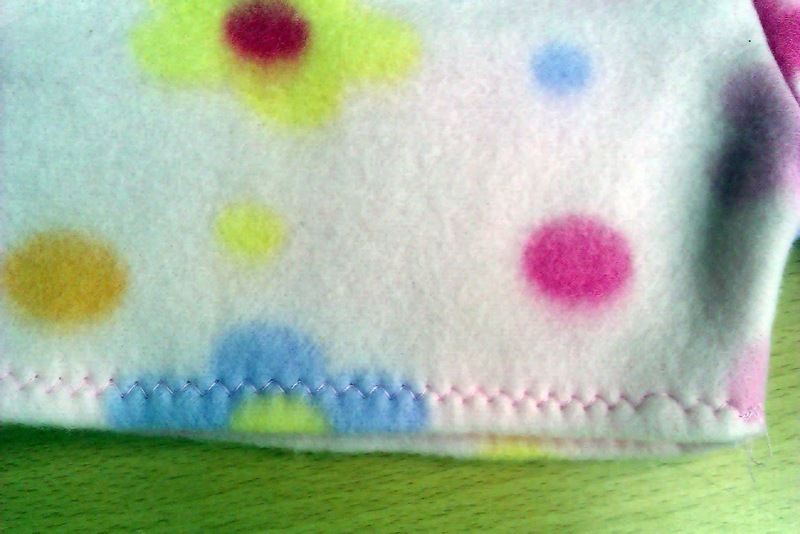 Fleece is pretty forgiving but don't pull too hard, only pull it as hard as you had to when sewing the elastic on.